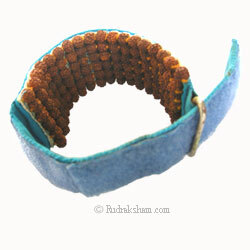 Made by weaving together Rudraksha of size 6.5 mm. 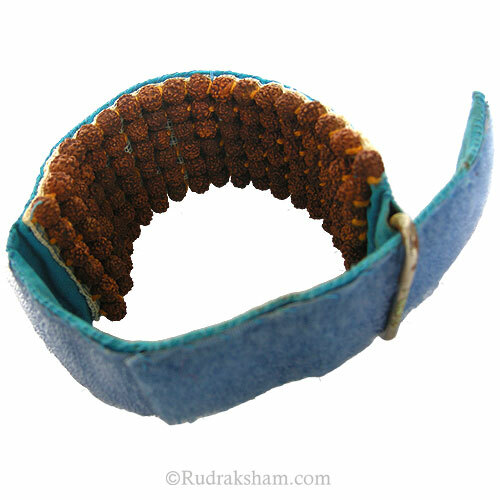 These rudraksha are threaded on a 3cm. wide belt.There is a strong adjustable hook at the end to clasp it around the wrist. Serves as an aid for curing illness. It is also used as a remedy for stress, anxiety, mood swings, depression, impotency, lack of concentration, mental instability etc.